These shirts won’t turn you into mosaic-like pixels. I think. If I ever run into any pigmasks, that DCMC shirt will be a life-saver. How come the models’ bodies are….blurred? Is it to protect their identities, even though we can’t see the faces? Haw-haw! I don’t think MOTHER 1 had a band though, other than Ninten and co., but they didn’t have a name that would look good on a T-shirt. Thanks for the post, happy to see you like the shirts! Also, I set up a discount code for everyone from EB Central, just enter the obvious “EBCENTRAL” in your cart for an easy 10% off. Thanks again, let me know if you have any questions! Awesome. I’m pretty sure you must know by now, 15 Bit Gamer, but, you’re going into heavy competition with the well known Fangamer if you’re gonna put EarthBound shirts on the Internet Market. Sorry if I’m sounding like a total a**hole, but, just a heads-up. @Jungyin, “Ninten and the Gang” would look pretty good on a T-shirt, or Ninten and Co., or Ninten and Friends. 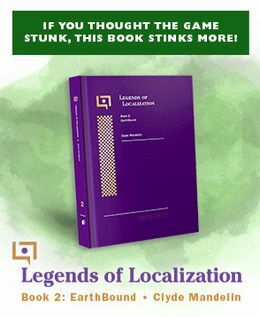 It’s nice that these exist but I’d much rather support Fangamer’s business when it comes to Earthbound gear. 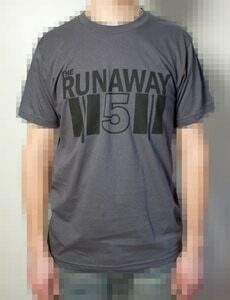 Especially since they also have a Runaway 5 shirt for sale (that more cleverly avoids copyright infringement). The 15-Bit Gamer operation just looks very amateur in comparison and the folks at Fangamer really go out of their way to provide the best for their customers with freebies and themed packaging, so my money is with the latter. Thanks for the feedback Oliver, and thanks for checking out the shirts. We’re actually huge fans of Fangamer! I’m personally a proud owner of the Mother 3 Handbook, and they have been a great inspiration to us, proving that fans of a relatively niche series like EB/Mother are more than willing to seek out unofficial merchandise. Our site just launched a little over two weeks ago, so we certainly are a new business and will continue to improve as we grow. Hopefully we’ll be able to offer some neat incentives and promotions in the future too! Pretty neat, but design-wise they’re pretty simple. Am I really the only one who thinks these are incredible? Come my next paycheck I’m totally getting the Runaway 5 one methinks. I’m not wearing any shirt that makes my arms and neck censored! 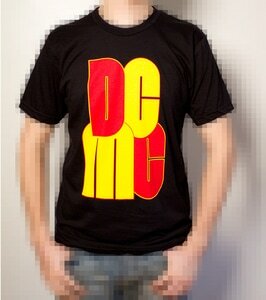 I bought the DCMC shirt recently from them, and so far, I don’t regret the purchase. I love the dates that are on the back the most. April 20, 2006 and October 17, 2008. Nice shout-outs. I’ll be willing to buy from them again. This comes a year or so late, but I have the Runaway 5 shirt and I just love it! It is witty, saying the dates on the back, so it looks just like a real tour tshirt. The quality is great too, and this comes from someone owning a Fangamer shirt too. (They both use the same American Apparel shirt, so I love the fit of them both!) I’m just playing through Mother 3 now and since I’m now starting to understand the DCMC shirt, it’s on my wishlist too.